Social media users have also shared pictures of the premier and asked her to comment on them. Western Cape premier Helen Zille ruffled ANC feathers on Friday after sharing a picture of President Cyril Ramaphosa with ANC Western Cape treasurer Maurencia Gillion. 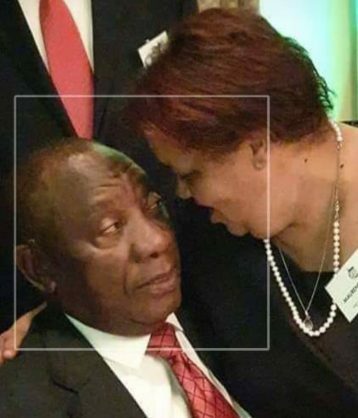 She seems to have been snapped in a slightly awkward position with the president after greeting him with a hug at an ANC event. 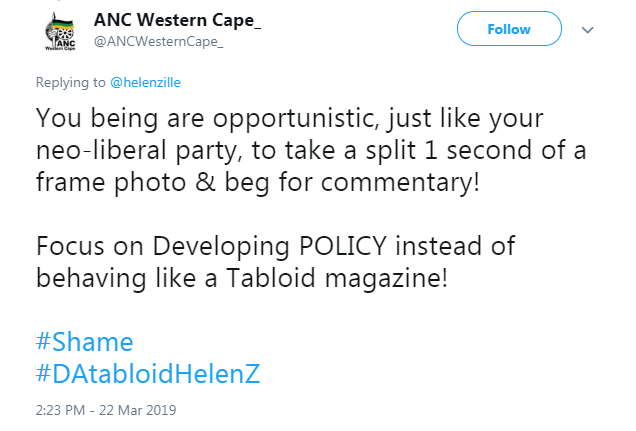 Zille took a screen shot of the moment, shared it on social media and said the picture was “begging to be used in a caption competition”, much to the Western Cape ANC’s disapproval. Those who responded asked Zille to comment on a picture of her kissing then Agang leader Dr Mamphela Ramphele during an ill-fated press conference announcing Ramphele as the DA’s presidential candidate in 2014. Others asked her to comment on another picture of her posing next to one of the Gupta brothers.